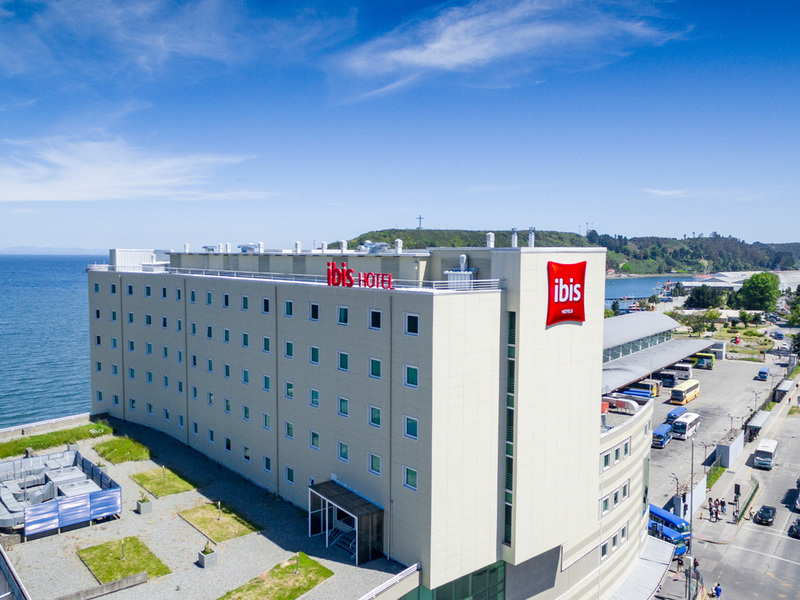 The ibis Puerto Montt is located in front of the bay of Puerto Montt, 10 minutes from the shopping center, 11 minutes from the Chinquihue stadium, 6 minutes from the traditional Angelmó market and 3 minutes from Museo Histórico Juan Pablo II. Relax in com fortable rooms with heating, TV, telephone, safe and hair dryer. Take advantage of our ibis Kitchen restaurant, which offers tasty dishes for dinner, as well as a cozy 24-hour bar. Enjoy the magic of the south in our restaurant. Enjoy all the year's flavors with a beautiful view. Our bar is open 24 hours a day. Enjoy options from our menu in a pleasant and comfortable atmosphere.